Looking to expand your research beyond your everyday search engine? Need to know the latest updates within your field of business? Interested in the latest news from national and local newspapers? With ProQuest you can access full-text articles from newspapers, trade and scholarly journals, magazines, and other resources. 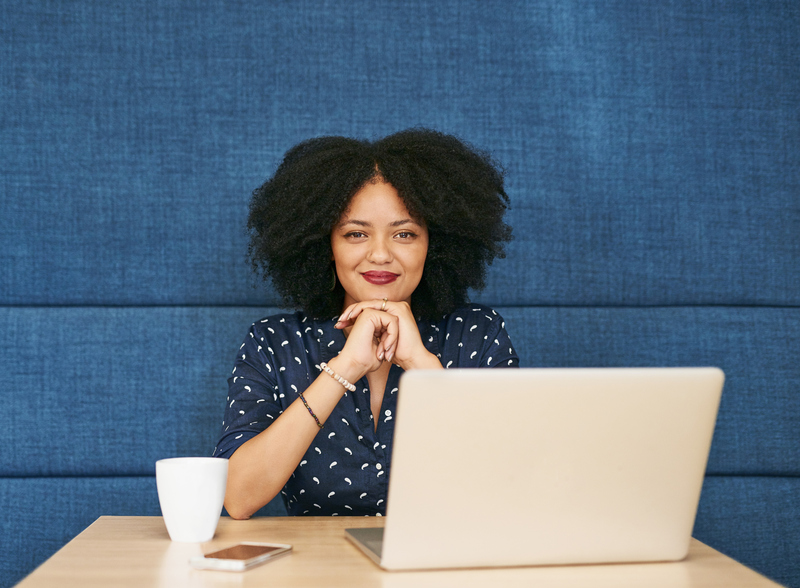 ProQuest is accessible from the comfort of your own home, business, or while on the go – you don’t need to be at a library to conduct your research! With ProQuest, you can browse recent and past editions of The Globe and Mail, The Chronicle Herald, and other Canadian and international newspapers (note: most current issues may be delayed). Creating a My Research account through ProQuest allows you to easily save and organize the articles you have found while searching. If you're a small business owner or aspiring entrepreneur, you'll find great value in the Canadian Business & Current Affairs Database on ProQuest. It offers 700+ trade publications, 500+ scholarly journals, dissertations and more. Log in to ProQuest using your library card number on any computer or mobile device. Type your search terms in the search box. Select Full text if you want your results to include only full text articles. 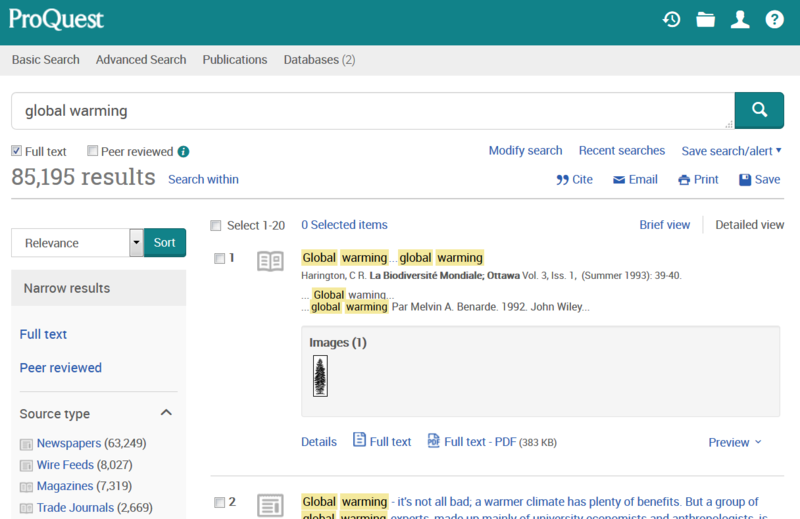 An example of a search on ProQuest. 3. The results page will provide you with the number of results, additional ways to limit your search, applicable articles, and more. Use the Narrow results feature on the left-hand side to choose what type of articles you are interested in, publication date, language, etc. Click on any article title for additional publication details, a brief summary of the article, and the full-text (where available). Need help with more advanced search techniques or further assistance with your research? Check with staff at your local branch of Halifax Public Libraries.